PHOENIX, Dec. 21, 2015 /PRNewswire/ -- This holiday season, Republic Services, Inc. (NYSE: RSG) reminds you to incorporate sustainability into your family traditions and work celebrations with seven helpful holiday recycling tips: https://youtu.be/ziNf0RmyZn0. With parties, decorations, cards, gift giving, and travel, Americans generate 25 percent more trash than normal during the holiday season, or one million extra tons of waste. Roughly 80 percent of what is thrown way during the holidays could be recycled or reused, according to the U.S. Environmental Protection Agency. "The hustle and bustle of the holiday season leaves little time to think about what to recycle or throw away," said Pete Keller, vice president of recycling and sustainability at Republic Services. "But, there are several opportunities to make simple, sustainable choices throughout the season. We are excited to share our holiday recycling suggestions, and hope they help customers across the country to reduce, reuse and recycle whenever possible this season." Recycle wrapping paper, even the sparkly stuff! Trash the ribbons and bows. Better yet, reuse them! Paper bags = recycle. Laminated bags = reuse or trash. Put down the pen and paper, and email your holiday card. Instead of popping that bubble wrap, save it and reuse it. Before you recycle, separate paper and plastic. Do not use foam for packing, use shredded paper instead. Toy packaging made of heavy cardboard is not recyclable unless the cardboard is separated from the plastic. Sticky gift tags are not recyclable by themselves, but they are acceptable if affixed to an envelope or wrapping paper. Check with your local provider to confirm which items can be recycled in your community, holiday collection times or special instructions for Christmas trees. Republic Services operates 66 recycling centers nationwide, and processes roughly five million tons of recyclable material annually. Republic continues to make significant investments in highly advanced recycling capabilities and technologies, including recently opening the largest and smartest residential recycling center in North America. Known as the Blue Planet™ sustainability initiative, the Company is defining its approach to corporate responsibility through reduced emissions from operations, materials management, safety, community engagement and employee growth opportunities. 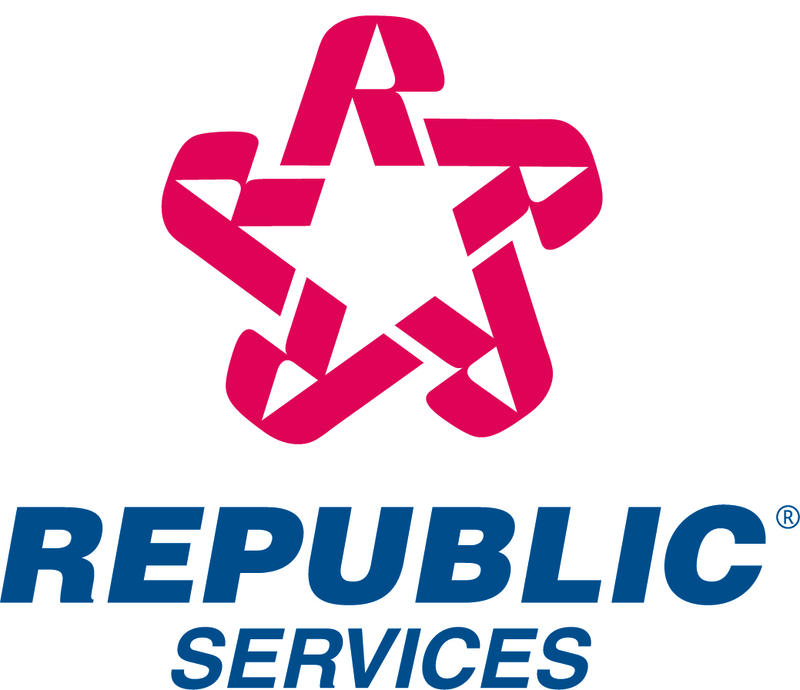 To view Republic's 2014 Sustainability Report, go to RepublicServices.com/sustainabilityreport.